Pancakes! My favorite thing to make on the weekends. I’ve been frantically been getting everything ready for this upcoming busy season. It’s been a big ol’ mess but also a lot of fun. 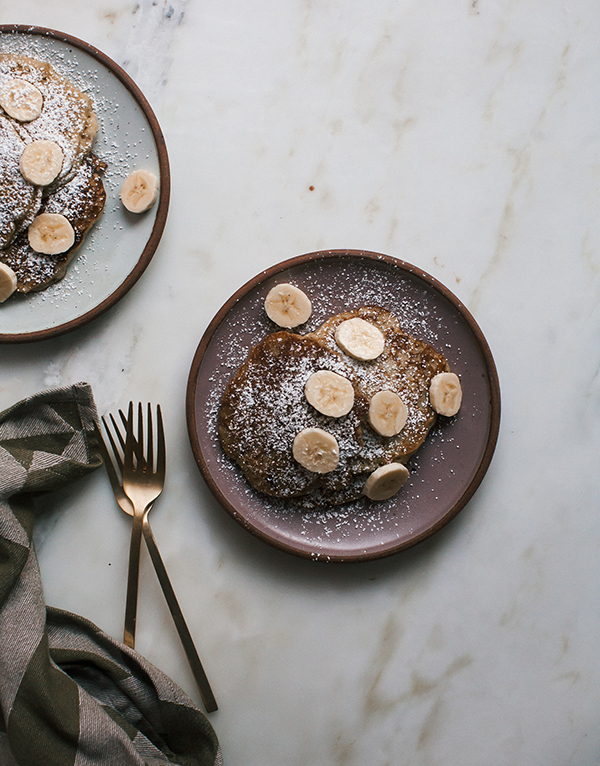 Autumn is finally here and I feel like we should celebrate with someone that’s not only easy to throw together but very very cozy…banana bread pancakes! 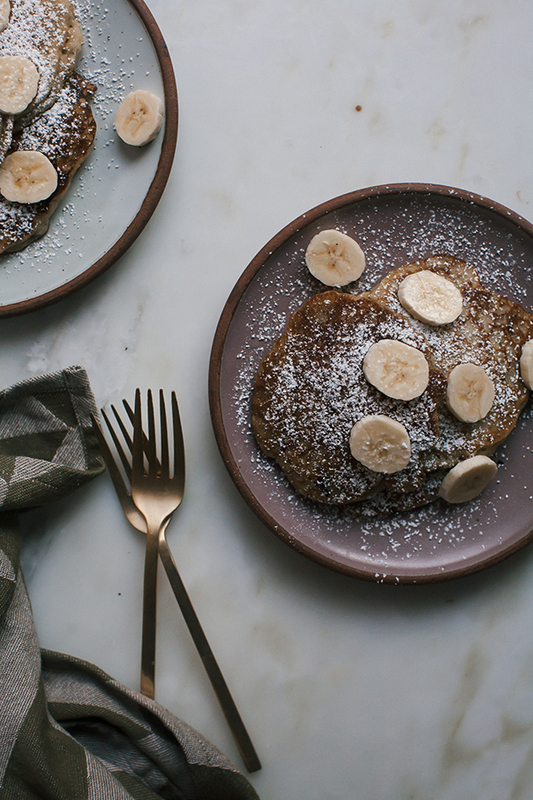 Normal banana bread is essentially a quick bread and so are pancakes. It’s basically the same exact batter. Right now it’s absurdly hot in Los Angeles. It doesn’t feel like fall AT ALL. But in a few weeks, I’m headed to Virginia where I’m hoping to experience some autumn leaves and some nice brisk-like weather. 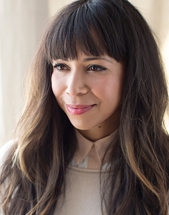 In a small bowl or measuring cup, measure out the buttermilk. Stir in the banana, unsalted butter, and vanilla extract. 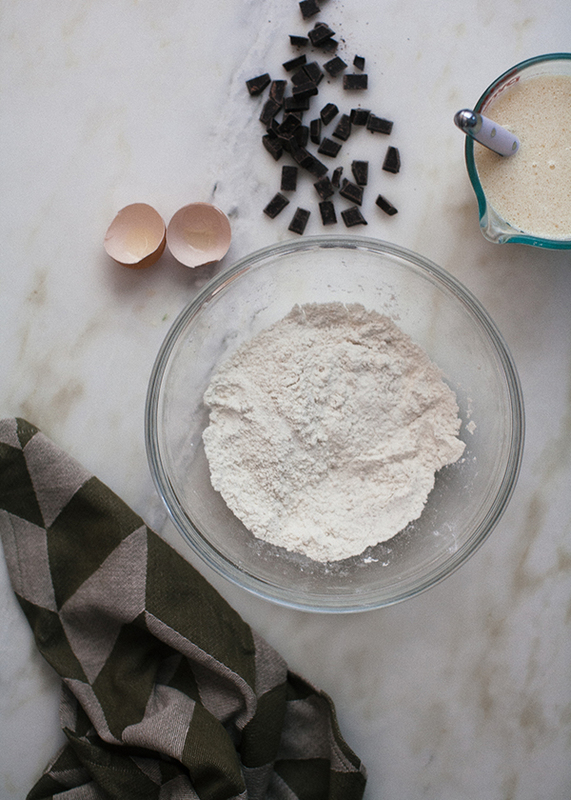 Pour the wet ingredients into the dry and mix just until you no longer see any specks of flour. Not over-mixing it will make sure you don’t over-develop the gluten which can lead to stiff pancakes. If you’d like to add mix-ins, add them now! Heat a non-stick griddle over medium heat. When warm, add the butter or oil. Using a 1/4-cup measure, drop pancake batter onto the skillet, shaping it into a circle with the spatula, if needed. Cook for 1 to 2 minutes on the first side, adjusting the heat if necessary. Flip and cook on the opposite side for about a minute. 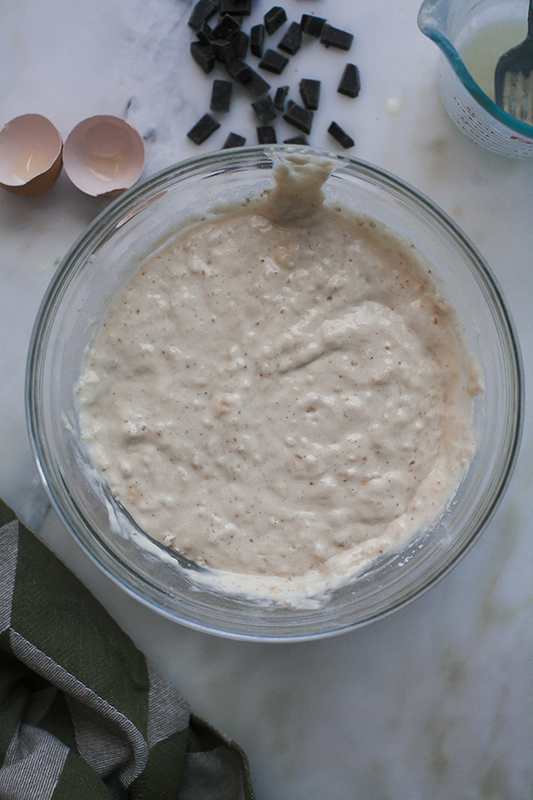 Repeat with the remaining batter. 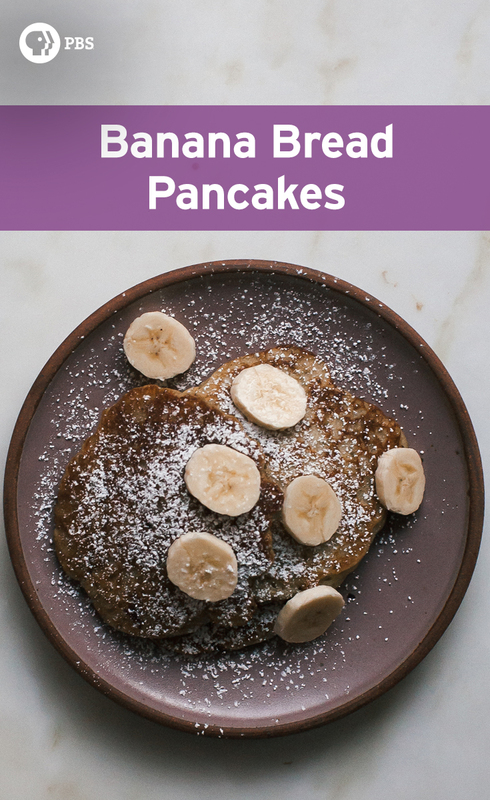 Serve the pancakes with slices of butter, maple syrup or a dusting of powdered sugar!